Halifax homicide detective Allan Stanton's walked away from his job to reconnect with his young son, until a killer starts methodically carving his way through the city's underbelly. 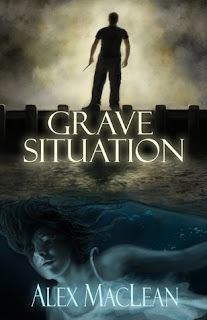 His ex-partner needs help, and Stanton reluctantly returns. The killer is definitely working through a list of victims, and he's leaving cryptic clues at his grisly crime scenes. Are they there to confuse the police? Or is there something more to them? As Stanton unravels this shocking central mystery, he becomes the target of an unexpected enemy--those next on the killer's list. 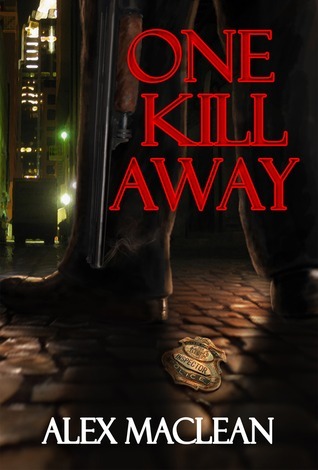 Halifax detective Allan Stanton is back in Alex MacLean's novel, One Kill Away. Stanton has no doubt earned his right to time off and visiting his son Brian is exactly what he needs. While on a little vacation, a hideous murder takes place and Alex's partner Audra is called to the scene. Because of the vacation time, readers are introduced to both Detective Audra Price and a new side of Detective Stanton, the side that loves his son more than anything in the world. The bond that initially formed between Stanton and readers will solidify when they witness Allan in family mode. It's obvious how much he adores his son. Detective Audra Price is another officer that readers will respect and sympathize with. Audra is strong, intelligent, brave, with a side of hotheadedness. As the murder case sets up, it's Audra's responsibility to move it forward. However, heartbreak arrives for the Price family when Audra's daughter attempts to take her own life after experiencing how cruel teenagers can be. Thus, Audra is off the case and Allan is called back from Toronto to finish the puzzle. The plot of One Kill Away has two sides, just like every story. The first side is Seth. He's immediately depicted as the murderer. He's a broken man who is full of rage and regret, looking for revenge. The other side of the story involves the detectives, their suspects, and their families. With the first murder, the police hit a solid dead end, but with the second murder everything starts to fall into place. Will Seth finish his revenge or will Stanton put the clues together leaving Seth one kill away from success? This novel was just as thrilling as MacLean's first. Once I started it, I couldn't put it down. The story is so fast-paced with many different things happening to both main characters and supporting characters. It's hard to find a stopping place, not that I was looking for one. The new murder mystery is meticulously pieced together. Very impressive how MacLean linked the present to Stanton's past. The little twist at the end blew me away and changed my perspective completely. Funny how a single detail can do that... One Kill Away is gunpowder after the spark, definitely recommended for mature murder mystery lovers.